There are two compelling reasons to ascend this arduous trail to the summit of Yellow Mountain in Jackson County. The first is to visit the restored Depression-era fire tower. 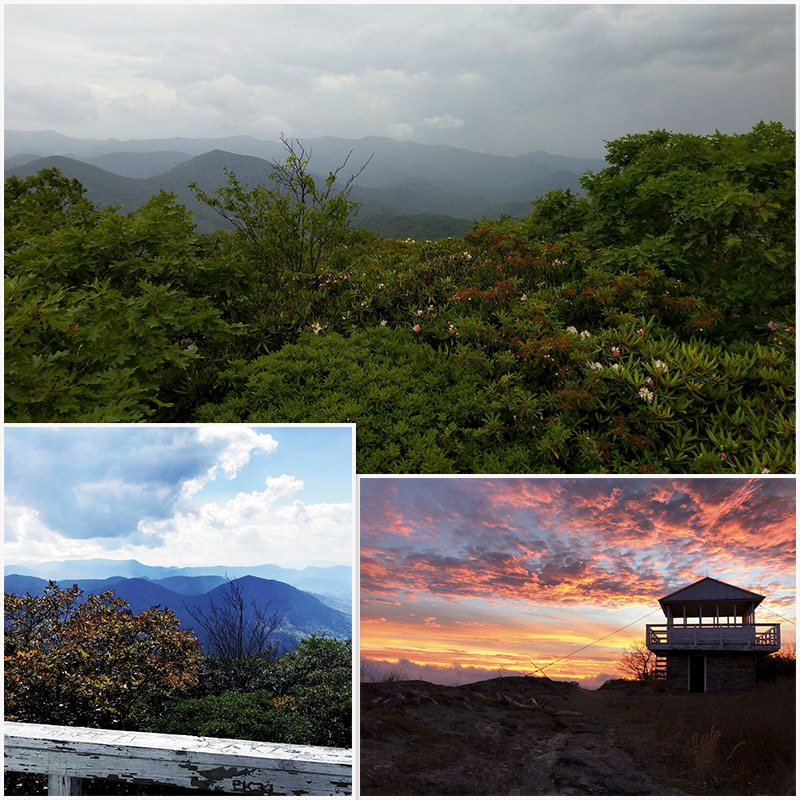 The second is the spectacular views from the apex of the Cowee Mountain chain in the southwestern corner of the state. The stone-based tower was commissioned in 1934 and served as a perch for smoke watchers for nearly four decades. It is among a handful of retired lookouts that have withstood lightning, wind, and rain. While the charming structure no longer serves its former mission, it’s a worthy destination to experience history and nature. Indeed, the views from the summit are downright noble. From the 5,120-foot peak—likely named for autumn yellow leaves of the tulip poplar—there are panoramic vistas of several lofty mountain ranges: the Plott Balsams, Great Balsams, and Great Smokys. And on a clear day, the shores of Lake Jocassee, which crosses the North/CarolinaSouth Carolina state line, can be seen as well. The route begins at Cole Gap and follows a winding ridgeline along the edge of the Buck Creek watershed. The footpath climbs over three peaks—Cole Mountain, Shortoff Mountain, and Goat Knob—within five miles before ascending switchbacks to Yellow Mountain’s craggy apex. Navigate: From Franklin in Macon County, follow US 64 from the intersection of US 23/441 toward Highlands for roughly seven miles to a left onto Buck Creek Road. Continue for 8.8 miles to Cole Gap to a parking area at the trailhead.